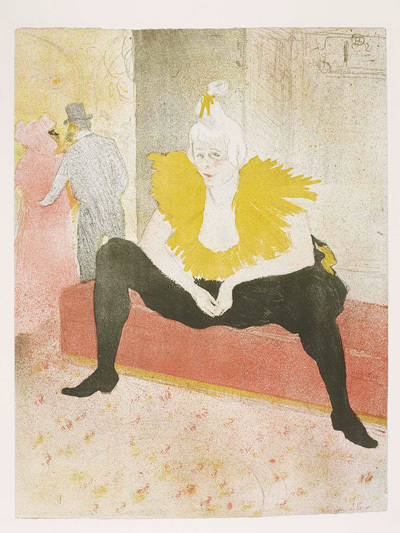 Toulouse Lautrec was a turn of the 20th century painter, printmaker and illustrator. 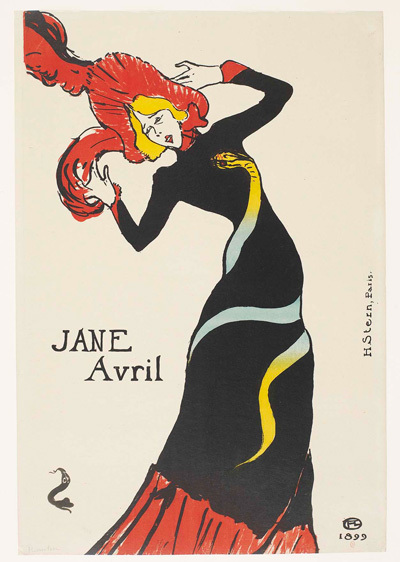 Lautrec lived in Montmartre and created iconic poster designs for local theatres including the Moulin Rouge. Bright colours, simplified forms, big gallic noses, the posters slap you in the face and demand to be looked at. His designs capture the turn of the century vitality of Paris. 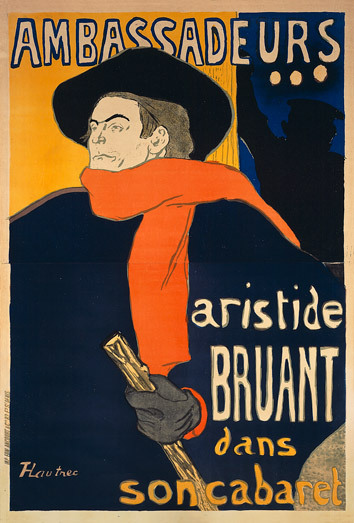 Even if you’ve never seen the particular image before, the Lautrec style is somehow so familiar. Consciously or otherwise the plethora of caricature artists that line the steps of Montmartre today are all borrowing elements of his style. The vulgarity in the faces, and the sketchy lines are often used today as a cliched way of portraying the French. 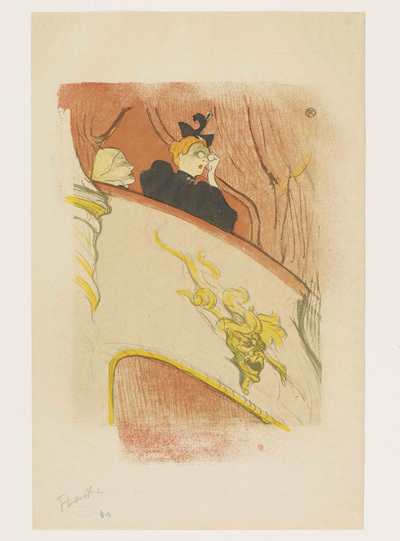 50 Lautrec works are on display at the Angladon museum in Avignon until 15 June. Entitled the art of spectacle the works concentrate on his major theatre posters and portraits of actors and actresses. The museum was once a private house. The ground floor where the exhibition is set is now little more than a series of boxy white rooms. There’s little spectacle in the display of the posters. 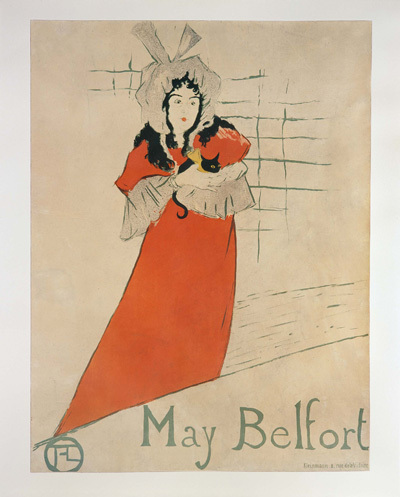 Far better to have set the Lautrec exhibition in the grandly furnished upstairs rooms of the house, where the permanent collection is now located. Still an enjoyable cultural nibble, that takes a lot less time than going around the Palais du Pape, while leaving you with the same virtuous feeling.